R.T., Britain’s leading tribute to 70s politico-protest punk rant-rockers The Clash, lit up a dismal horizontal rain and wind-swept Derby night. The gig was a smouldering, slow-burning spectacle at first as the guys warmed up the crowd with several lesser known sounds of the capital city streets. But a triple-header of Tommy Gunn, London’s Calling and I Fought The Law sparked off some of the most mentalist mosh-pitting mayhem seen at the ‘Pot for many a year. Even your reviewer was bounce rebounding up and down with the best (and worst) as the band continued with classic Clash hits Should I Stay or Should I Go? and the infectious hooked White Riot. 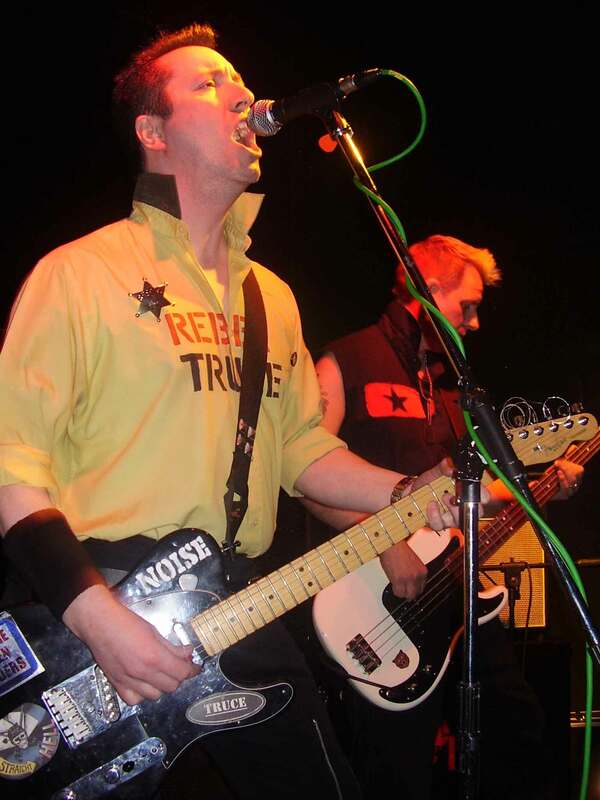 Jerry Budby as Joe Strummer snarled his venomous vocals superbly as The Clash’s legendary and much-missed lead singer. His twin brother Rick on drums as Topper Headon, Wayne Early as Paul Simonon (bass) and lead guitarist Lee Wood as Mick Jones all played their parts with masterful respect and all-action energy. Frantic, frenetic, pogo-tastic punk paradise. First they rocked the Casbah, then they cracked the ‘Pot.